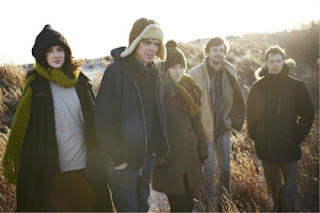 Video: Dirty Projectors - "Swing Lo Magellan"
A lot of the videos that Dirty Projectors have released this year have been out before because they were a part of their short film Hi Custodian. But this time they released something new for the title track off their most recent album Swing Lo Magellan. Quite the simple, yet effective video as it follows frontman David Longstreth, who sings and plays the guitar while walking through the desert, which then leads to a relaxing neighborhood. Watch below.